It began with a scream. And unfortunately for me, not a manly scream from a low register, but an automatic, terror-infused high-pitched squeal. I remember it well, the sun was setting in Harran, and night was drawing in. I’m on a mission to locate some Antizin – the drug the Tower needs to slow the process of people turning to zombies. Supplies were short, and getting our hands on some was critical. We found the supply drop, but then I received a message from my employers to burn it, to force a dialogue with a local warlord who has some damning info on them. It felt wrong, the people in the Tower needed the Antizin, but I followed orders hating myself. However before the guilt could set in I was ambushed by a monstrosity with glowing red eyes, my first glimpse of a Volatile. And I screamed. That would be embarrassing enough of course had I been on my own, taking on Dying Light’s story solo. But I wasn’t, I’d teamed up with so-called friends who’d agreed to help me with the main story missions, who had all conveniently omitted to tell me just what was coming. With shouts of “Run!” shouting into my headphones, in between the hysterical laughter at my reaction, I pulled myself together and began to flee. The markers on my map of my friends were already leaving me in the dust, protecting themselves first and foremost. Panicked, I parkoured for my life, scrambling over fences and buildings wherever I could to avoid zombies and edge ever closer to the safety of the Tower. All the while I knew the Volatiles were fast on my tail, and wouldn’t relent until I’d reached my goal. And when I finally stumbled into the safety of the UV lighting of that central building, only then could I relax. I finally caught my breath, and realised that what I just experienced was so intense, but at the same time, so exhilarating. I was in, I was hooked, Dying Light had just upped the nighttime ante, and I loved it. With my adrenaline pumping, I needed an outlet for it, a way to take the fight back to my undead enemies, and luckily for me the combat in Dying Light was incredibly enjoyable, limited only by my imagination. One minute, I could be hacking away at a zombie’s thorax with an electrified katana sword, and the next I could be setting one on fire, and drop-kicking it into some nearby spikes. I could even set traps for them by luring into a group and then grenade the lot of them in one go. This thrill and hilarity made me love the game, and meant that days in Harran were ones of laughter as me and my mates came up with new creative ways to re-kill the undead. It was a game full of secrets as well, with hidden weapons to find for completing certain objectives or fulfilling certain criteria, and even bonus areas as well, the bizarre Mario-inspired pipe-world was a particular highlight, complete with odd-looking goomba enemies, and a racoon suit-type item waiting for anyone who could traverse this pseudo 2D realm. Finding these secrets often came through word of mouth with friends, who’d discovered them for themselves or been shown by others. It means we have a world ripe for making memories in, and thankfully not all of them involved me screaming. Laughing though, that was definitely on the cards, even if it was often at my own expense. I remember one moment fondly when I’d just started the game, and was being helped by friends, one of which had climbed to a vantage point atop a tower and was looking to jump down to us on the floor below. In Dying Light if you land on rubbish bins, you take no damage, so my friend aimed for the rubbish, and well I’ll let you see what happens in the video below. Apologies for the quality, it was taken by another friend eight years ago. I defy you not to smirk. And then straight after that death-defying leap, you can see the tables are turned. My (so-called) friend calls me over to take a look in the boot of a nearby car for something. I was so interested in what it could be, and so totally trusting of my buddies, I didn’t even notice the car alarm, and then it all went black. It only happened once. So, I look on with fondness at my time with Dying Light as an incredibly entertaining co-op experience with equal parts enjoyable parkour traversal, fun combat, tense nighttime chases and just lots of blood and zombies. It’s a mix that shouldn’t work, but does perfectly, and meant when a sequel was announced last year at E3, I was like a meerkat at Christmas. The sequel seems to have a lot more invested in the world around you, and specifically how you as the player can influence the outcome of it. With decision tree changes affected how the city operates, the game has promised each player’s own city will be unique to them, depending on how they play. As a fan of cooperative play, I’m looking forward to not only shaping the world to my will, but also visiting other’s worlds and seeing how theirs turned out and have a completely different experience in the same game. And as more details drip-feed there way to us, we know these decisions that we make can also affect the enemies that infect our city. 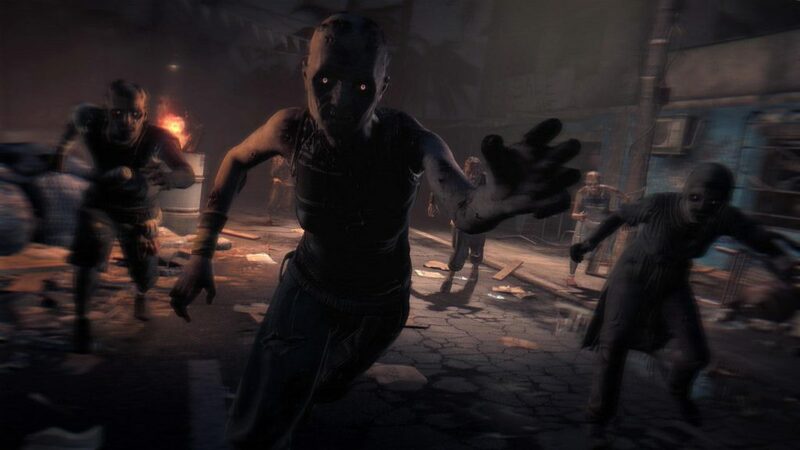 Whilst it remains to be seen how much of a danger zombies will be during the day – given most of the city footage we’ve seen so far shows a living world of denizens – what we do know is that as night falls, things are going to get very scary. Volatiles are back, and as relentless as ever, and there’s even different types of zombies, depending on how progressive their infection is, which affects their characteristics and ultimately, the danger they possess to everyone. What this presents me with is a smile, a smile borne out of the opportunities I can see before me. 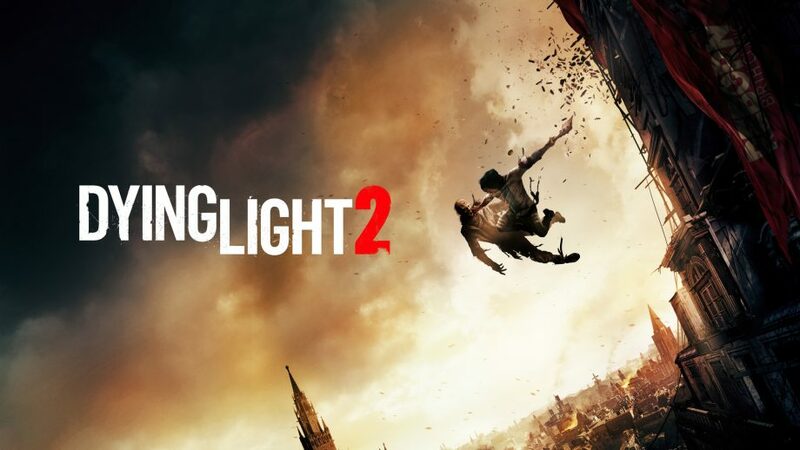 Dying Light 2 feels like a game that is shaping up to be something a bit special, and one that will require experimentation and teamwork to understand how to best what it could potentially throw at you. The environment seems richer and fuller than the layout of Harran in the original, with more opportunities for awesome parkour traversal, and presumably hiding plenty of secrets and little nooks and crannies to discover, and use to your advantage in the heat of the moment. My expectations are high, which I suppose is the only danger. I enjoyed the original so much because of the tight world it created for you to play about in, and utilise its creative zombie-strewn sandbox for your own amusement. The challenge will be ensuring that the decision-led world-building doesn’t create a barrier to enjoying the overall experience or restricting the potential fun you can have with the game. If it manages to balance the two, then this could be a very impressive sequel. I’ll be waiting with eagle eyes and baited breathe for more information as we get closer to release. I just hope they get rid of the car bombs. Those bloody things make me look stupid.